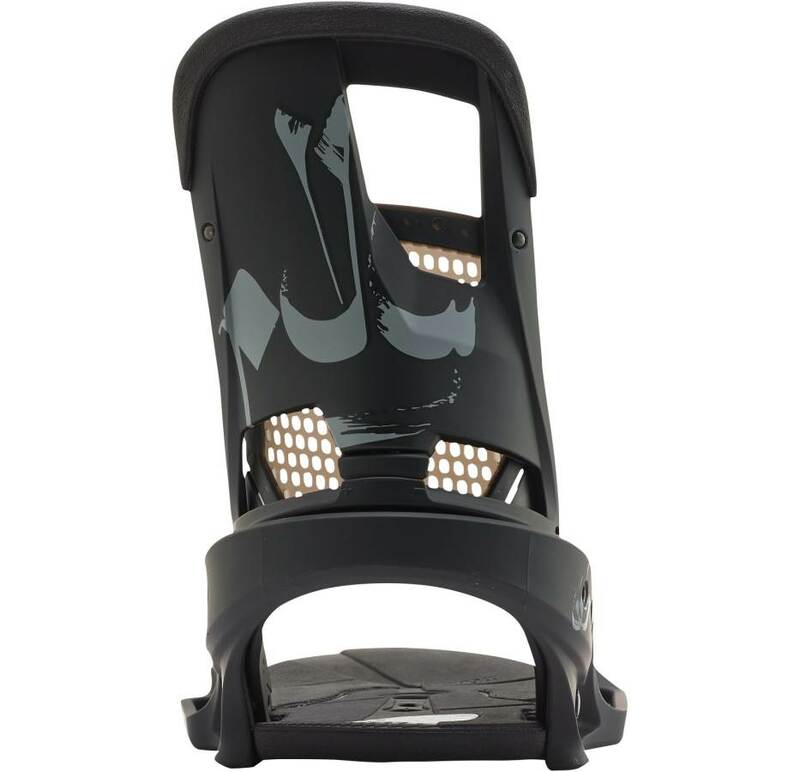 The Burton Stay Calm EST Binding is what we call it the Cartelivita because it’s got the high back of the Cartel with the hammock tech from the Malavita. It’s mostly cartel though. The one difference between the Cartel EST and the Stay Calm is the Stay Calm doesn’t have Hinge Tech. 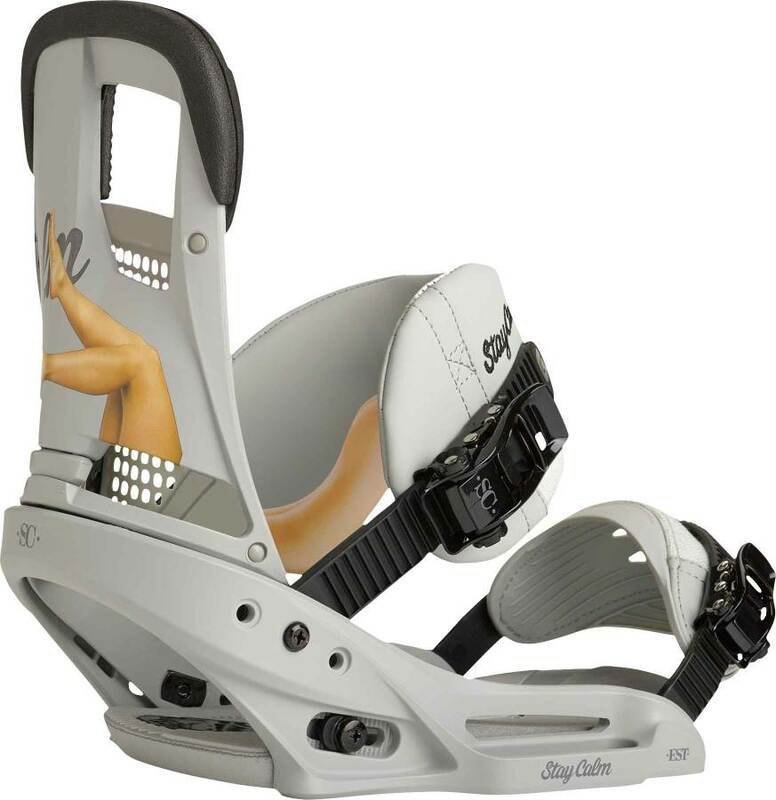 That means it doesn’t have the spring hinges that add to the ollie power but some like the more traditional est binding without hinge tech so this is for them. Riders: James, Peter and a few others. Adjustability: Burton just does adjustability well. It’s not completely tooless but the straps are and that is what most people adjust when on the hill. You’ll need a tool for high back rotation but the rest can be done without a tool. 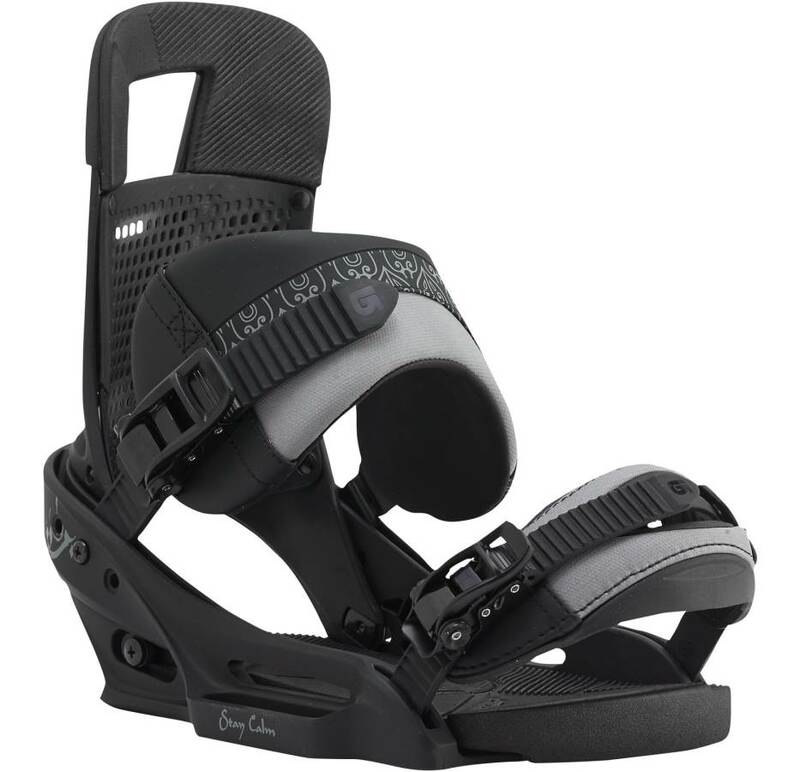 Comfort: Like most Burton bindings this is very comfortable and fit’s well with most boots out there. Turn Initiation: It’s got that same mediumish response that feels really smooth. It’s smooth feel sometimes makes you feel it’s not super responsive but instead it makes the board feel like it’s flex is more mellow. It’s pretty middle ground edge to edge and to me it felt just a little bit less responsive than the Cartel. That might just be in my head though. Buttering: Same great re:flex feeling for butters from tip to tail. It makes the board feel softer and easier to flex underfoot. It’s not there with the Genesis when it comes to flex under foot but it’s pretty easy. 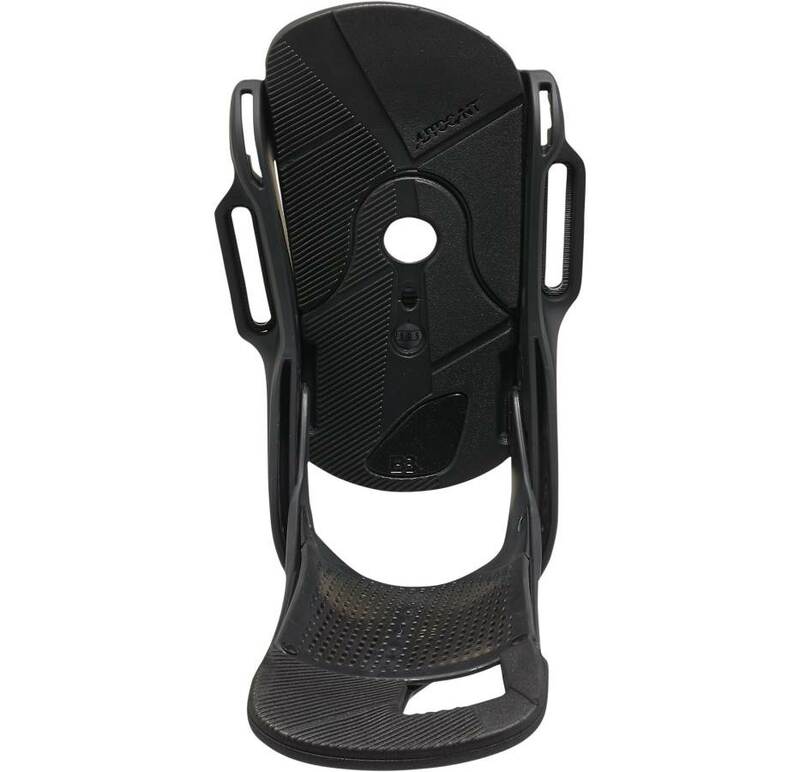 Boot Support: I believe this has the same ankle strap as the Malavita and it offers a nice balance of support and freedom of movement where you need it. It’s not super locked in but just middle ground. 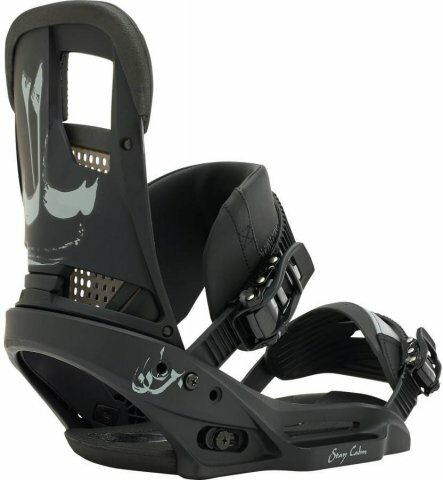 Ratchet System: Same great ratchet system that most burton bindings have. Seems to be the same ratchets as the Cartel and a step above the Missions and Customs. Shock Absorption: Outstanding shock absorption just like the Cartel. So this is a pretty interesting binding that is nothing really new but I would say it’s a nice use of existing parts. It’s the kind of binding that will have appeal to Malavita riders that want a softer high back or Cartel Riders that want more of a freestyle feel to their bindings. We try to get as many images of the Burton Stay Calm EST, but forgive us if they're not all there.